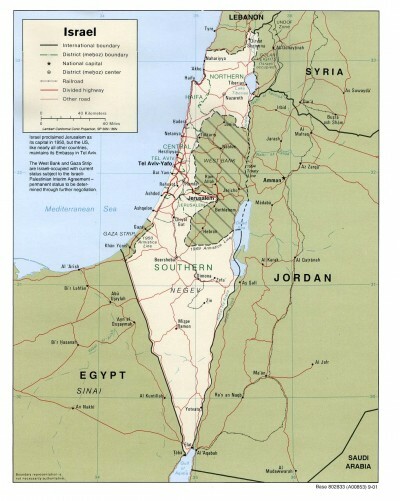 [After Israel won the Six Day War in June 1967] We enthusiastically chose to become a colonial society, ignoring international treaties, expropriating lands, transferring settlers from Israel to the occupied territories, engaging in theft and finding justification for all these activities. Passionately desiring to keep the occupied territories, we developed two judicial systems: one ‑ progressive, liberal ‑ in Israel; and the other ‑ cruel, injurious ‑ in the occupied territories. In effect, we established an apartheid regime in the occupied territories immediately following their capture. Israel is an occupying power that for 40 years has been oppressing an indigenous people, which is entitled to a sovereign and independent existence while living in peace with us. We should remember that we too used very violent terror against foreign rule because we wanted our own state. And the list of victims of terror is quite long and extensive. With an outbreak of hostilities, the IDF will need to act immediately, decisively, and with force that is disproportionate to the enemy’s actions and the threat it poses. Such a response aims at inflicting damage and meting out punishment to an extent that will demand long and expensive reconstruction processes. The strike must be carried out as quickly as possible, and must prioritize damaging assets over seeking out each and every launcher. Punishment must be aimed at decision makers and the power elite… attacks should both aim at Hezbollah’s military capabilities and should target economic interests and the centers of civilian power that support the organization. Attack the entire ‘target bank’ throughout Gaza with the IDF’s maximum force (and not a tiny fraction of it) with all the conventional means at its disposal. All the military and infrastructural targets will be attacked with no consideration for ‘human shields’ or ‘environmental damage’. It is enough that we are hitting exact targets and that we gave them advance warning. After the IDF completes the “softening” of the targets with its fire-power, the IDF willconquer the entire Gaza, using all the means necessary to minimize any harm to our soldiers, with no other considerations. “The instinctive reaction in such a situation is denial. It’s just not true. It never happened. It’s all a pack of lies. I also want to make it clear that NONE of the above was in an way my own words, none of it was my own analysis of the situation, it was all words of the highest decision making bodies in Israel, save the few words I inserted here and there for continuity. When people call you a liar, an anti-Semite, a conspiracy theorist, or any of the other names and intimidations they use to vilify you for speaking out about these truths, just remember that these are not your words, but instead the words of the Israeli Prime Ministers, the Major Generals of the IDF, the IDF Colonels, Company Commanders, Foreign Ministers, Knesset members, UN Ambassadors, lawmakers, military analysts, etc., etc. These statements I have quoted reflect not only the ideology of Israel’s top officials and military personnel, they as well reflect the policies, behaviors, and approved methods that were used as far back as the 1980’s and that continue to be used to this very day, in Operation Protective Edge. Similar statements made by Hamas or others can in no way justify, or excuse the Israeli leadership from authorizing and utilizing these policies of brute force that ‘wantonly inflict every possible measure of death and anguish on civilian populations,’ that is inexcusable, and individuals who find themselves attempting to justify and apologize for these methods, I would suggest you take a look at the recent death toll figures, I would suggest that you follow the teenagers on Twitter that are recounting their stories, do your best to expose yourself to the reality being inflicted on them there, and question just what exactly it is that you are justifying and apologizing for. These are atrocities that are inflicted, codified into law, ideologically and religiously justified, apologized for and encouraged, encouraged by the diplomatic, military and economic support of the world’s largest defense spender and only truly global superpower this planet has known; they are the reality that culminates with Israeli’s setting up lawn-chairs on their roofs and hills, celebrating as we would the 4th of July the exploding orchestra that for their enjoyment lights up the night sky, all the while just a few kilometers away the wholesale extermination of an entire group of people is playing out before their eyes, and the eyes of the world… a reality of which most simply fall silent. Given that, they are wrong, they shouldn’t call for the destruction of Israel and they shouldn’t praise the death of Israeli citizens, but if they shouldn’t, then why should it be any different for Israel? How come it is that basically everyone seems to instinctively accept Israel’s right to do so given that they have a much weaker case? They are, in fact, the military occupiers, they are not subject to an extremely brutal and murderous military occupation, one which continuously assaults them with an overpowering military force that openly targets their civilians and commits extreme crimes against them with impunity, nay with diplomatic, military, economic, and propagandistic support from the world’s leading superpower; they are not imprisoned by land, air, and sea- on the contrary, none of this is happening to Israel and still they call for the destruction of Palestine and the murder of its innocent civilian population. Surely that is much worse then the victims of occupation and subjugation calling for the same- lets just imagine for a moment that the reverse were true, imagine if Palestine and the Arabs subjected Israel and all its civilians to a brutal and harsh military occupation, that they continuously annexed Israeli land for themselves, forced Israeli’s out of their homes, kept their economy on the brink of near collapse, counted their caloric intake, put them on a diet, made them ‘live like dogs,’ and imprisoned them in such a way that the best estimates predict their homes will be unlivable by 2020. Would Israel not call for retaliation? Would Israel not in such a situation refer to its oppressor as a terrorist and call for their destruction? Nay, the opposite is true, in absence of all of this and in addition to the fact that they are the perpetrators, that they continually refer to the Palestinians as terrorists, dehumanize and demonize their entire population, and call for their destruction and much worse implement that destruction, the death and slaughter of innocent Palestinian civilians, with their superior force then vilify their victims when they in turn call for the same. Neither should be doing this, but honestly why is it that everyone accepts it when Israel does it given that ‘Israel is an occupying power that for 40 years has been oppressing an indigenous people, which is entitled to a sovereign and independent existence while living in peace with us?’ Why is it that no one bats an eye when an oppressor calls for the destruction of its oppressed? *This Ben-Gurion quote (mentioned at the beginning of this article) is the subject of debate. Self-appointed media watchdog CAMERA (Committee for Accuracy in Middle East Reporting in America) questioned the veracity of the Journal of Palestine Studies (JPS) original quotation of Ben-Gurion, the quotation I have used was the corrected quotation JPS gave after further investigation following CAMERA’s initial questioning. JPS’ official response to CAMERA’s call for accuracy in which they produced the corrected quotation that I have used can be found at the link I have given, also linked here. Following JPS’ response, CAMERA responded again by questioning the corrected JPS quotation, their response can be found here. (A good number of quotations here I originally found in this great article from DissidentVoice.org, “Israeli Criticism of Zionism and the Treatment of Palestinians: The Politicians” by Edward C. Corrigan, July 30, 2010 – much thanks to Mr. Corrigan and I highly recommend reading his entire piece. 1.) Quotation of Israel’s Chief of Staff Mordechai Gur circa 1981 – Edward Herman, The Real Terror Network, (Montreal: Black Rose Books, 1982), p. 77-78. 2.) Quotation of Israeli military analyst Zeev Schiff, summarizing General Gur’s comments circa 1981 – Ibid. 3.) Israel’s Prime Minister Menachm Begin in 1981 – Menahem Begin, letter, Haaretz, August, 4, 1981; translated in Israleft News Service,191, August 20, 1981, cited in Edward Herman, The Real Terror Network, (Montreal: Black Rose Books, 1982), p. 77. 4.) Quotation of Israel’s UN Ambassador and Labor Party Foreign Minister Abba Eban in 1981 – Abba Eban, “Morality and warfare,” The Jerusalem Post, August 16, 1981 in cited in Edward Herman, The Real Terror Network, (Montreal: Black Rose Books, 1982), p. 77. 5.) Quotation of Abba Eban in 1981 – Edward Herman, The Real Terror Network, (Montreal: Black Rose Books, 1982), p. 77-78. 6.) Quotation of Israel’s Attorney General from 1993-96 Michael Ben-Yair in 2002 – “The Six Day War’s Seventh Day,” by Michael Ben‑Yair, Haaretz, March 3rd, 2002. This article is also reproduced in The Other Israel, Voices of Refusal and Dissent, Foreword by Tom Segev and Introduction by Anthony Lewis, edited by Roane Carey and Jonathan Shainin. (New York: New Press, 2002), p.13-15. 7.) Quotation of Knesset member Shulamit Aloni in 2006 – “Indeed there is Apartheid in Israel,” by Shulamit Aloni, Yediot Acharonot, May 1, 2006. The article is was published in Israel’s largest circulating newspaper in the Hebrew edition but not in the English‑language YNetNews. It was translated by Sol Salbe, an Israeli-Australian editor and translator, and distributed through the Australian based Middle East News Service sponsored by the Australian Jewish Democratic Society. The Hebrew original is here. 9.) Quotation of Commanding Officer of the IDF’s Northern Command, Major General Gadi Eisenkott in 2008 – Yedioth Ahronoth (Hebrew), I have incredible power, I’ll have no excuse, Saturday Supplement, October 3, 2008, by Alex Fishman and Ariela Ringel-Hoffman. 12.) Again, quotation from then PM Ehud Olmert, this time in 2009 – Israel Channel 2 news, February 1, 2009. Available at:http://www.mako.co.il/news-military/security/Article-34a141791e03f11004.htm . 14.) Quotation of a senior official off the international law division (ILD) of the Israeli Military Advocate General’s Office, made in 2009 – Haaretz, Consent and advise, January 29, 2009: http://www.haaretz.com/consent-and-advise-1.269127. 16.) Quotation from Prime Minister Benyamin Netanyahu in 2001, caught on video speaking with what presumably are family members, unawares to the fact that he is being recorded at the time – Redress Information & Analysis, Netanyahu: I deceived US to destroy Oslo accords, July 24, 2012, by Jonathan Cook: http://www.redressonline.com/2010/07/from-the-archives-netanyahu-i-deceived-us-to-destroy-oslo-accords/#trans . 18.) Quotation of Ayelet Shaked, Israeli lawmaker and senior figure in the Habeyit Hayehudi (Jewish Home) party, part of Israel’s ruling coalition, posted on her Facebook page in July 2014, preceded by this statement, “This is an article by the late Uri Elitzur, which was written 12 years ago, but remained unpublished. It is as relevant today as it was at the time.” – The Electronic Intifada, Israeli lawmaker’s call for genocide of Palestinians gets thousands of Facebook likes, by Ali Abunhimah, July 7, 2014:http://electronicintifada.net/blogs/ali-abunimah/israeli-lawmakers-call-genocide-palestinians-gets-thousands-facebook-likes . 19. )Quotation of Moshe Feiglin, member of the Knesset and member of Netanyahu’s ruling Likud party, written as a policy recommendation for Operation Protective Edge published in an op-ed piece for Arutz Sheva 7 IsraelNationalNews.com, on July 2014 – Arutz Sheva 7, Op-Ed: My Outline for a Solution in Gaza, by Moshe Feiglin, July 15, 2014:http://www.israelnationalnews.com/Articles/Article.aspx/15326. 22. )Quotation from Ofer, a fighter in the Golani Brigade (an elite combat unit of the Israeli army) who was in the first wave of the ground offensive – 3 The Jewish Chronicle, 5 March 2009: http://www.thejc.com/articles/gaza-soldiers-speak-out . Steven Chovanec is an independent geopolitical analyst based in Chicago, IL. He is an undergraduate of International Studies at Roosevelt University and is a regular writer and blogger on geopolitics and important social matters.